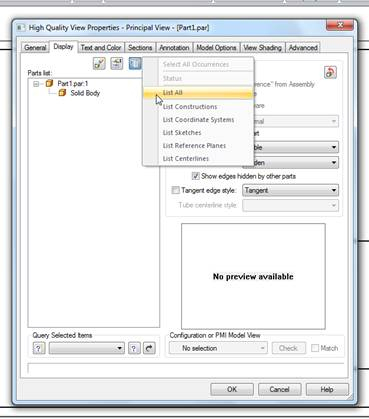 Step 1: Right click on drawing view you want it to display in and go to properties. 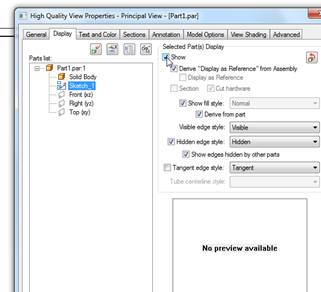 Step 2: Click on the display tab and click on parts list options and click list all. Step 3: You will see the sketch, reference planes, and construction planes in the tree. Highlight the sketch or profile that has the text profile in it and click show. 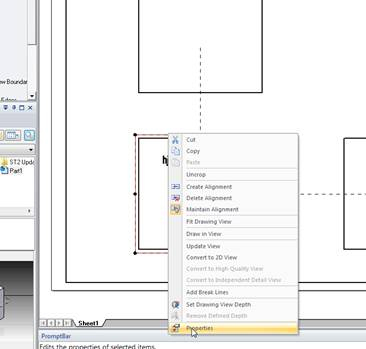 Step 4: Update your drawing view.